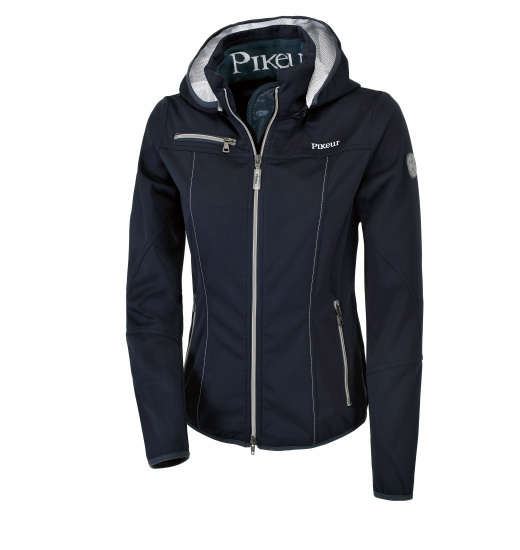 Light ladies' jacket with a hood, made of softshell. Its cut is fitted to the body. The jacket has a stand-up collar and its zip can be fastened both ways. It is waterproof and breathable. 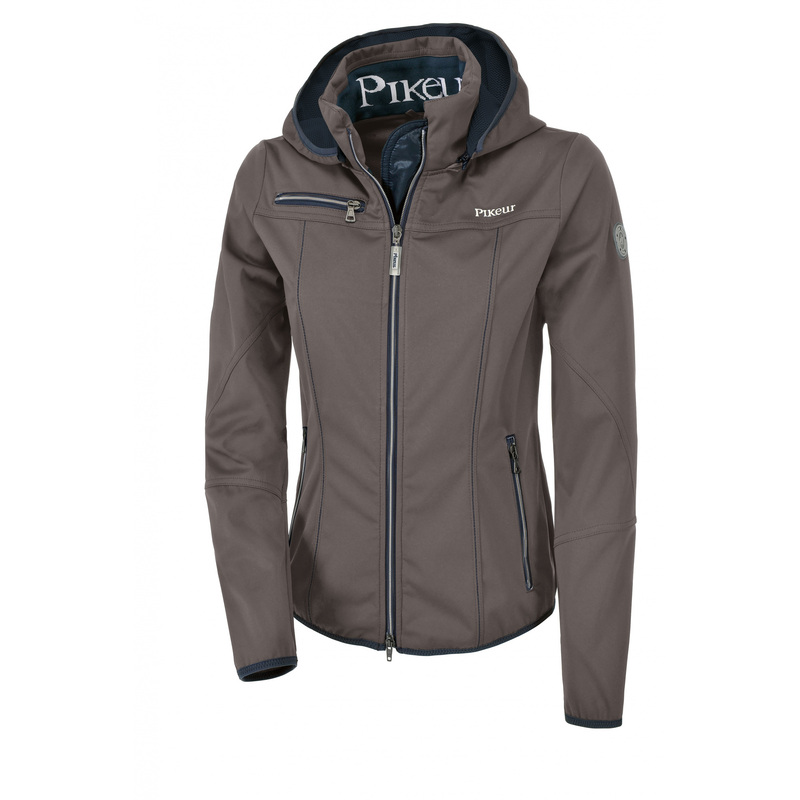 The jacket has three practical, zippered pockets on the front. It is decorated with an emblem with Pikeur logo on the left shoulder.